Friday May 30, 2014. 38 new of 16 species; 17 retraps. New species House Sparrow (!). Birds of the day were Magnolia Warbler with 8 banded and American Redstart with 6 banded. It was the final Friday of the season and the numbers were low with winds from the wrong direction. Ryan left for his home in Vermont in the early part of the morning, but the only Ruby-throated Hummingbird we captured was a retrap banded by Ryan earlier in the season. Pat Lovallo brought some new mats for the banding tables and we experimented to see whether her gray mats were better color-wise for studying molt patterns than our usual royal blue mats. The last net check of the day yielded one new species for the season … an adult male House Sparrow. Thursday May 29, 2014. 72 new bands of 23 species; 17 retraps. Bird of the day was Traill’s Flycatcher with 15 banded. It was another fairly slow day but with nice variety, with nine warbler species. 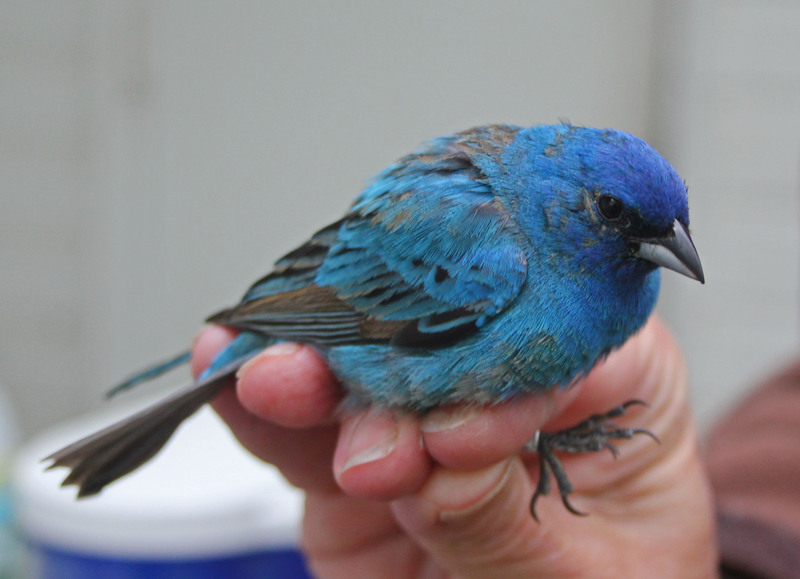 Most handsome bird of the day was a stunning SY male Indigo Bunting. Marian and Allison worked on getting the poles ready for summer MAPS banding at the Kaiser Station. Doug spent the second half of the morning culling Green Ash saplings from the hedgerow. Betsy and Ryan worked on getting the education room ready for the Genesee Land Trust Annual Meeting schedule for this evening. Gayle planted some Bee Balm brought by Cindy for the Memorial Garden. May 28, 2014 . 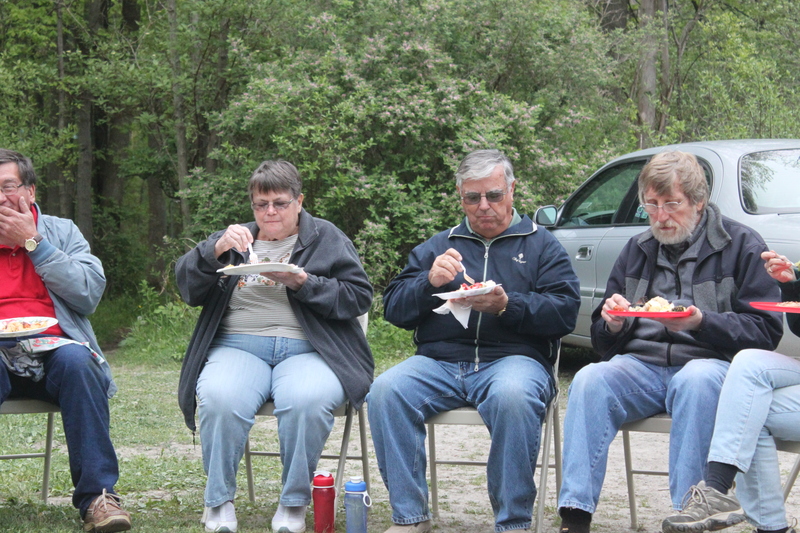 Volunteers and their guests enjoyed the annual picnic for volunteers. Wednesday May 28, 2014 55 new of 25 species; 23 retraps. Birds of the day were Wilson’s Warbler (8 banded) and American Redstart (7 banded). We had 11 warbler species. It was a slower day but with nice variety. Karen Velas – back at the banding table! 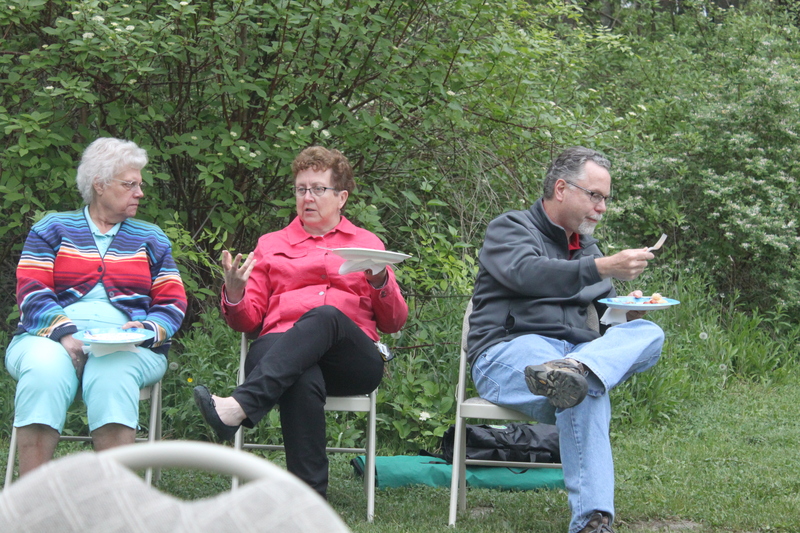 We got ready for the annual season-end picnic for volunteers and the Memorial Garden Service. A Handsome Black-billed Cuckoo Is the 86th Species Banded this Spring So Far. brookser	Spring Banding	Comments Off on A Handsome Black-billed Cuckoo Is the 86th Species Banded this Spring So Far. Tuesday May 27, 2014. 155 new bands of 26 species; 21 retraps. New species Black-billed Cuckoo and Gray-cheeked/Bicknell’s Thrush. Birds of the day were 28 American Redstarts,18 Magnolia Warblers, 16 Traill’s Flycatchers, and 15 Wilson’s Warblers. Several Black-billed Cuckoos were singing in the area this morning and we finally caught one in the back aerial nets. But the Olive-sided Flycatcher heard singing on the property yesterday evening managed to elude our nets today. We banded 14 warblers species today – a nice variety for so late in the season. 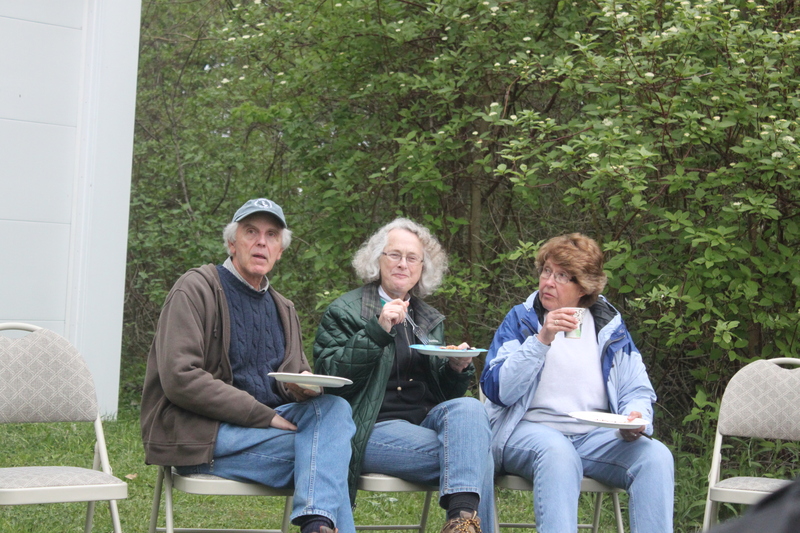 But, we have not banded a single Blackburnian Warbler so far this spring. 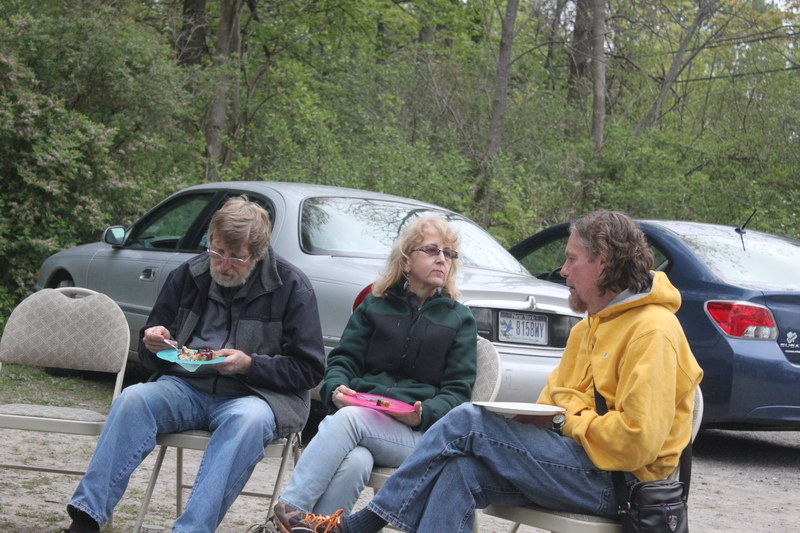 brookser	Spring Banding	Comments Off on 15 Warbler Species Today! Monday May 26, 2014. 142 new bands of 30 species; 12 retraps. Birds of the day were American Redstart with 22 banded followed by 20 Wilson’s Warblers and 18 Magnolia Warblers. Karen Velas joined the banding team once again. We had many visitors on this Memorial Day. We banded 15 warbler species today. A Black-billed Cuckoo “sang” in the field most of the day but managed to avoid our nets. Unfortunately, a deer went right through one of our nets. First American Woodcock of the Season! 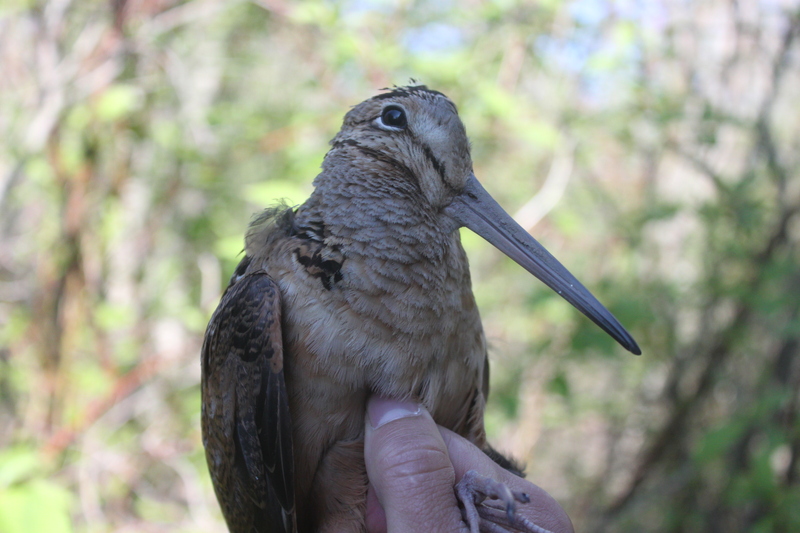 brookser	Spring Banding	Comments Off on First American Woodcock of the Season! 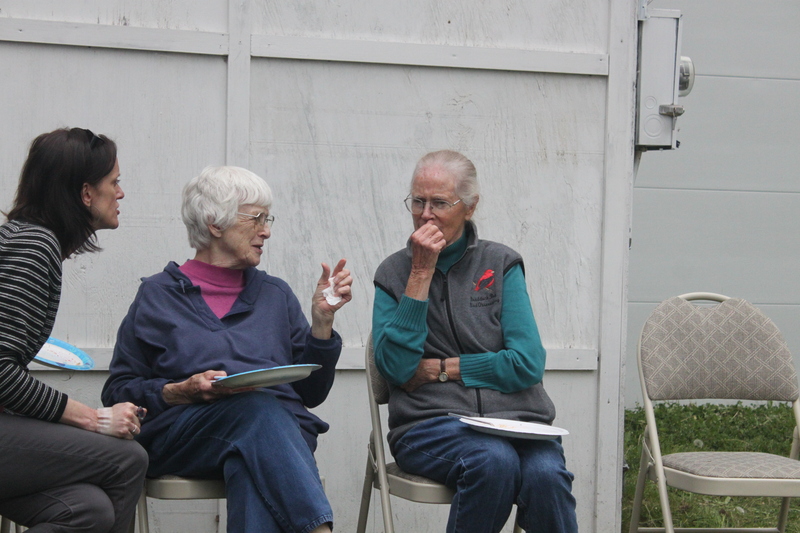 Sunday, May 25, 2014: 111 new birds of 28 species; 16 recaps. New species: Cedar Waxwing and American Woodcock. Bird of the day is the American Redstart with 15. Today turned out to be beautiful day. By late morning it was warm and sunny. 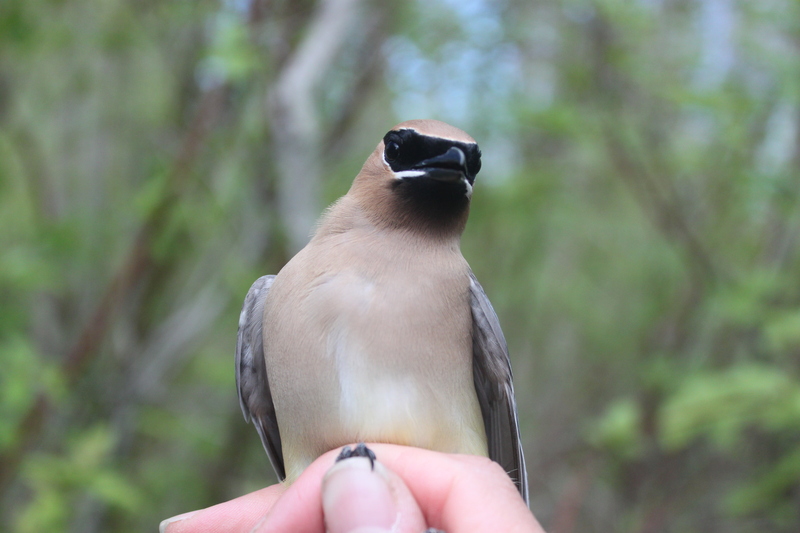 A flock of 9 Cedar Waxwings and an American Woodcock were a special treat for our volunteers and many guests visiting the banding station. Karen Velas arrived late Saturday night from California and joined us at the banding table bright and early Sunday morning!